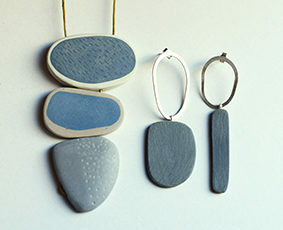 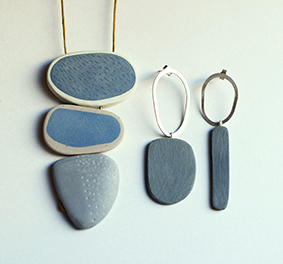 Bronwen makes wearable, sculptural jewellery from recycled industrial plastics. 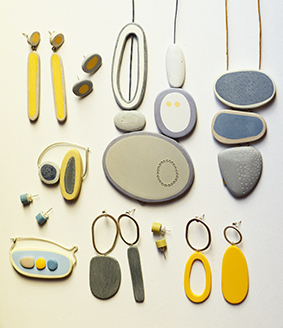 She imbues these soulless materials with character by working their surfaces till their colours soften and they feel natural in the hand. 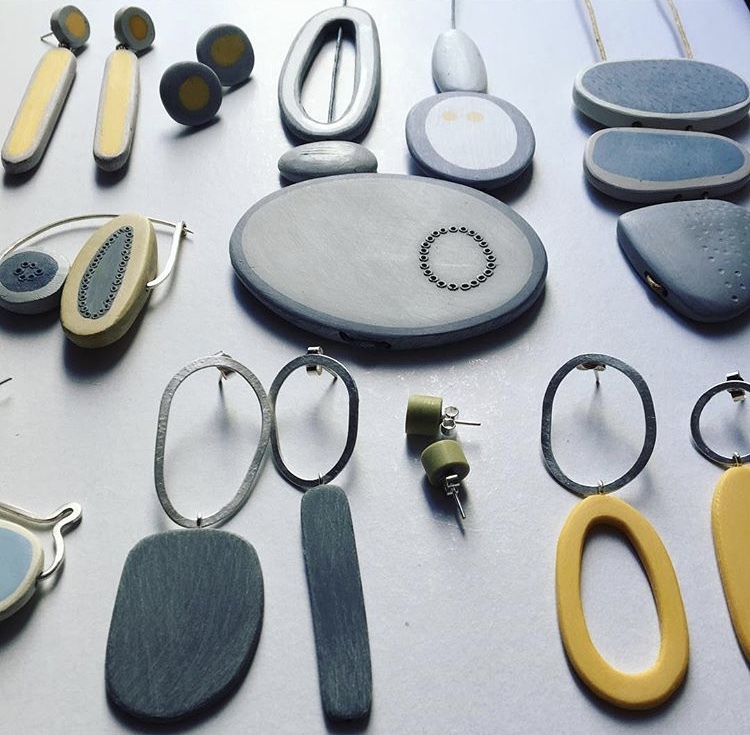 The shapes she uses reference those worn by the sea and allude to the fact that these ubiquitous and non-biodegradable materials will be sadly washing up on our beaches for many years to come. 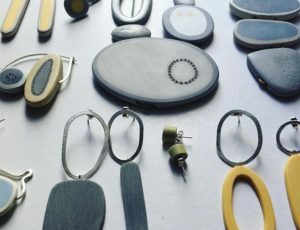 She originally trained as a jeweller and so uses traditional hand tools and techniques. 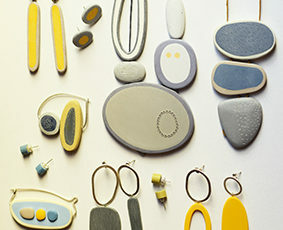 She slowly makes one off pieces, in stark contrast to high speed mass production that we associate with modern plastics.